It has been a crazy winter in the Northeast and a knitted hat will absolutely make your head warmer. However, the problem is that music lovers won’t be able to wear their headphones anymore. They could use the in-ear or earbud headphones instead, but they are very cluttering. How about a knit hat with headphone functionality? 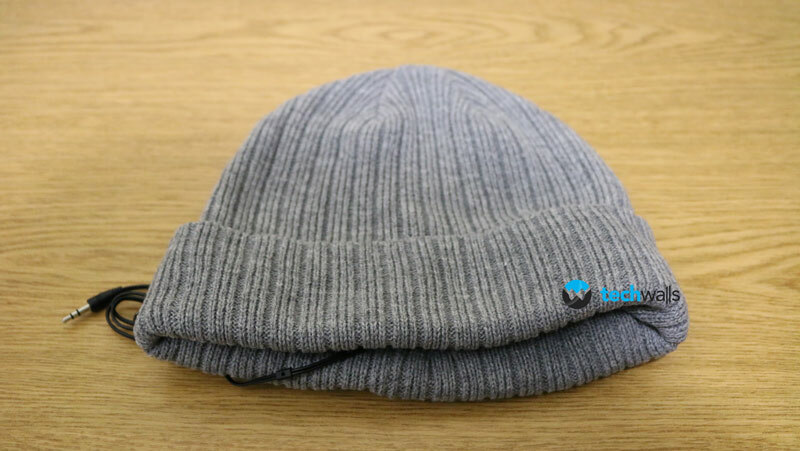 Let’s check out my review of the iMusic Hat Knitted Unisex. 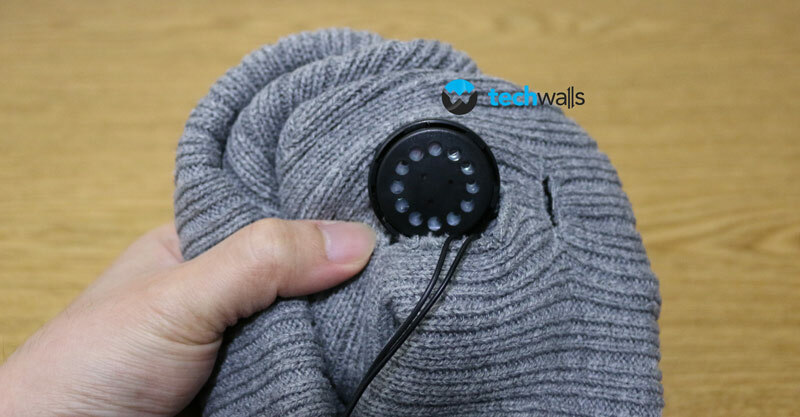 Basically, this is a knit hat with built-in headphone to help you listen to music anytime in the cold weather. 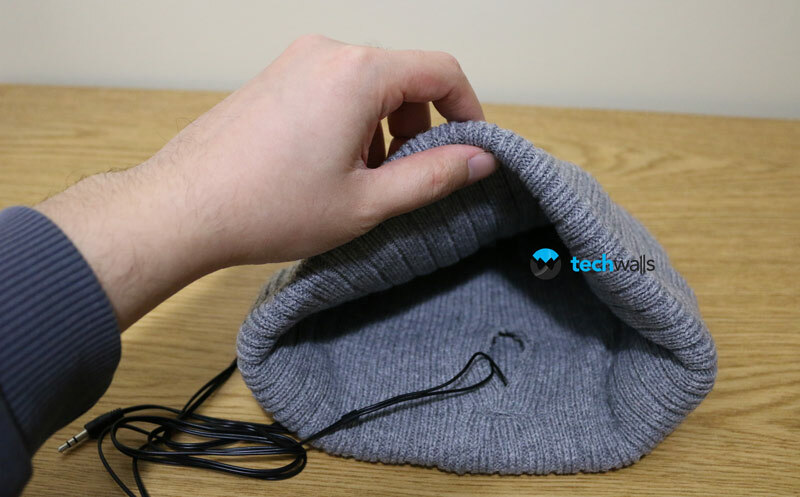 It has a wire coming from inside the hat and you will just need to connect the 3.5mm jack into your smartphone or tablet. Take a look at some images of the hat. The hat is made with 100% acrylic, so it looks quite nice and can easily keep heat for your head. However, I don’t really like the wire because sometimes I don’t listen to music and I don’t know how to put the wire away. There are two small drivers housed inside the hat. I feel quite comfortable wearing this hat, it is much more comfortable than any headphone because the hat keeps those drivers firmly. With regarding to audio quality, you really shouldn’t expect much because this is a very cheap headphone. The bass response is bad, there are a lot of distortion when you rock the volume up, and it is also uncomfortable to listen to its treble sound. In general, it sounds just a little better than the cheap headphone you can buy on airplanes. Therefore, if you want to enjoy music, this is not your choice. The hat is well-made and very warm. It stays comfortable on your head. 3.5mm jack could connect to most devices. The iMusic Hat is available on MobileFun for $27. Although the sound quality is not up to par with many headphones at this price range, I still think this could be an interesting product for the elders. A warm knit hat but it doesn't sound good at all.